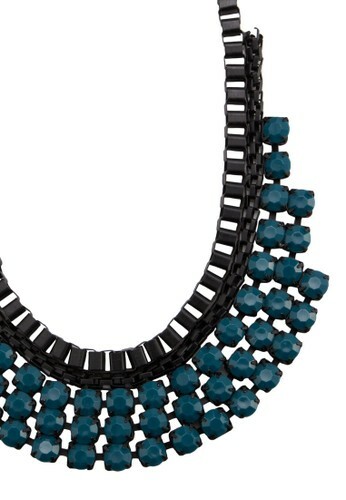 Every girl needs a few statement accessories lying around for days when things need to be spruced up a little. Red's Revenge has the perfect piece for you to add to your collection. 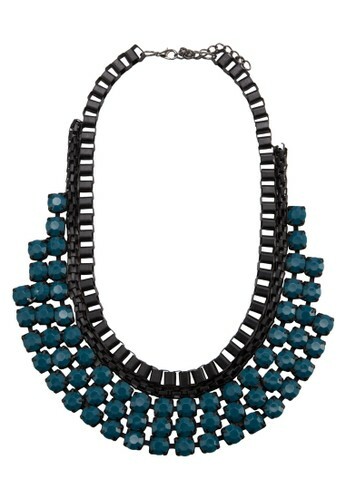 Encrusted with dark turquoise stones arranged in an orderly fashion, this statement necklace will add a pop of subtle color to your look while giving you a style lift.